TO VIEW WAITING CHILDREN IN CHINA PLEASE CLICK HERE. IMust not have significant vision loss, limb impairment or paralysis, schizophrenia, or infectious diseases (such as HIV). 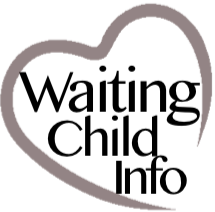 Please email WaitingChildInfo@gmail.com with questions about the process. If you would like to review a specific child’s file please submit an inquiry within that child’s individual posting.